Sure, there are golden statues to be won and you can have fun guessing who will take one home (Daniel Day Lewis, anyone?). But if you really want an Oscar party worthy of an award, you’ll need to up your creative game! We found some fun ideas that will have your party guests begging you to give an acceptance speech for a job well done. Winner describes something as "amazing"
Jones also designs a sleek Oscar ballot that you can download through her site. 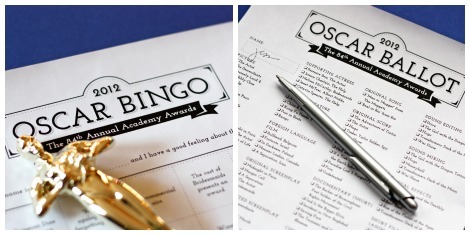 When guests arrive, they can check off who they think is going to win the Oscar for each category. 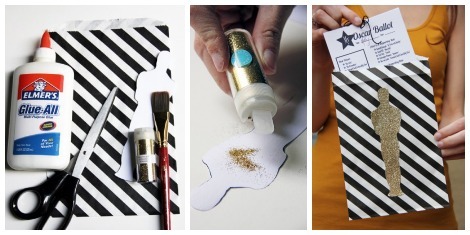 Kelly Lanza the editor and founder of Studio DIY has a fabulous and easy DIY idea to create a bag with a glittery gold statue to hold your party guests' ballots. On her site, you can download the Oscar statue printable and for the bags, she suggests Shop Sweet LuLu. For the perfect sparkle, she recommends Martha Stewart's glitter. You'll also need scissors, glue and a paintbrush. Cut out the Oscar statue and apply an even coat of glue to one side. Douse it in glitter, shake off the excess and let dry. Channel your inner celebrity and look like one on Oscar night. La Voila Beauty stylists, who all have magazine, runway and celebrity experience, will bring beauty to your door so you and your guests can get your hair, nails and make up done. You'll be red-carpet ready just in time to watch the show! Take that, Angelina Jolie!